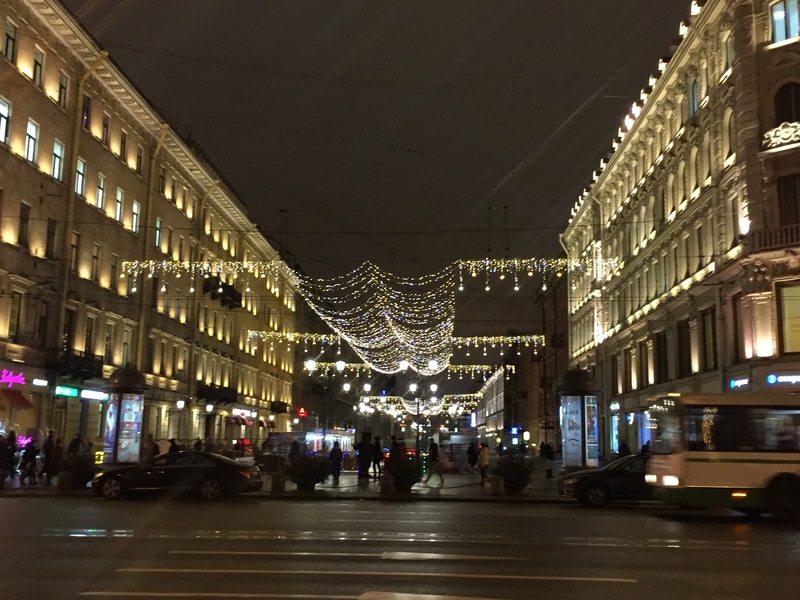 The other day I had lunch with my mom, I don’t know how we got to this, but she mentioned that she thought St. Petersburg is the most beautiful city she has ever seen. And she has seen a lot. 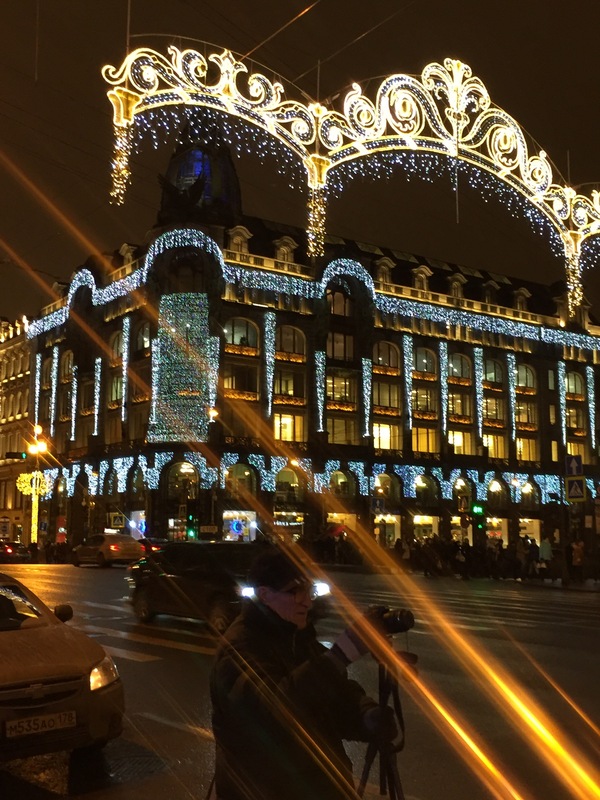 Of course, St. Petersburg has been on my ‘to see’ list since forever, just like Paris and London is on most peoples lists, but for one reason or another I never checked it out. Probably because it has always had the reputation of being very expensive. But nowadays our lives have changed. Information is at everyone’s reach and while waiting for the soup to boil, out of boredom, I started to check prices on my phone, and less then 24h later, pleasantly surprised by the what I had found, I had my trip booked. And then I was overwhelmed. St. Petersburg, Russia, here I come! Russia has always been present in European history. The tsars. Peter the great. Catherine the great. Alexander II and Napoleon. World War I and II. L’hermitage. Tolstoy and Dostojevski. Communism. Lenin and Stalin. 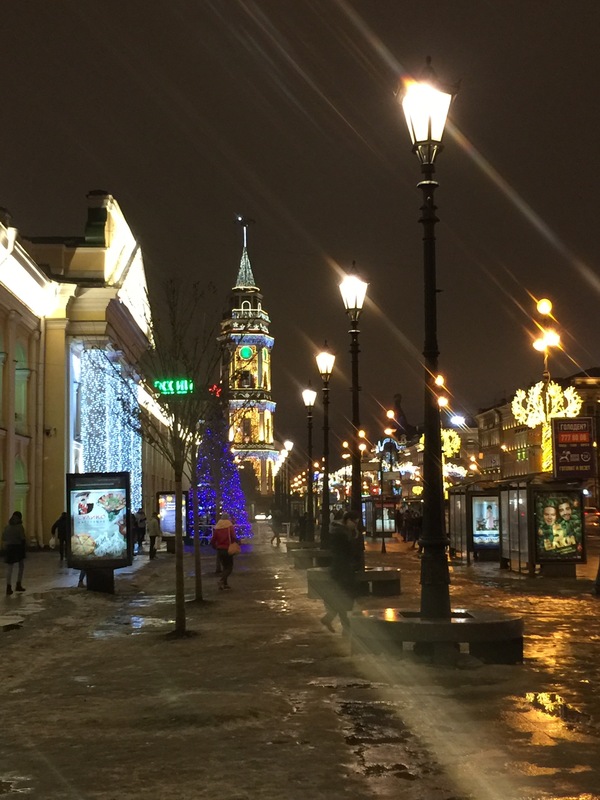 St. Petersburg, Petrograd, Leningrad and then again St. Petersburg. RASPUTIN! Winter palace. Cold. Snow. East front. Cold War. Faberge eggs. Alexander III. Anastasia. Did she survive or didn’t she? Russia speaks to our imagination. It always has and always will. We know a lot and at the same time we know nothing. I had 10 days -the time needed to get a visa- to get informed and I decided on reading Montefeori’s ‘the romanovs’, which had been on my to read list for a while. 300 years of history and I don’t know how many tsars in only 700 pages. I should have known it would leave me with my hunger. So I am still overwhelmed. There is too much to know, about Russia in general and St. Petersburg in particular, and I know so little. Our first quick walk through town, through a beautiful street with an unpronounceable name, overwhelmed me even more. My gosh it is beautiful! Never did I see such beautiful Christmas decoration, such a beautifully illuminated city. So European and still so foreign. So I started learning, at the bottom, starting with the basics, like a silly tourist, by asking the waiter how you say ‘thank you’ in Russia. Repeating it 10 times, only to realize that when he brought the next glass of wine, I had already forgotten it. I feel silly speaking English. St. Petersburg. I am overwhelmed. I need to get to know you. I already know now that I won’t have enough time and I know I will have to come back. St. Petersburg. I love you already.